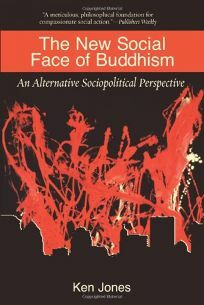 In this substantially revised updating of his The Social Face of Buddhism (1989), Jones argues that Buddhism has powerful, practical implications for profound social change. He calls this model ""engaged Buddhism,"" which is characterized by ""caring and service, social and environmental protest and analysis, nonviolence as a creative way of overcoming conflict, and ... similar initiatives toward a socially just and ecologically sustainable society."" He begins by discussing some key Buddhist tenets vis-a-vis engaged Buddhism, including the first noble truth: dukkha, an ""existential suffering and gnawing sense of lack."" Next, he probes the confluence of Buddhism and various social theories, underlining his root belief that meaningful social change is possible only if there is first a widespread and deep spiritual change in individuals, manifesting in a ""culture of awakening."" Jones then explores specific issues important to engaged Buddhism, such as structural forms of violence, consumerism, the pitfalls of a growth economy and the transnational corporations that reinforce it, and the destruction of the world's ecology. Finally, he reviews various engaged Buddhism movements across the world. This is less a galvanizing call to action and more a meticulous, multi-disciplinary (Buddhist) philosophical foundation for compassionate social action, for Jones's chief strength--his thoroughness--is also his biggest drawback: the writing is dense, and his larger arguments tend to become bogged down in minutiae. For those interested in engaged Buddhism, however, Jones provides a clear, attentive, thorough explication of the social-action implications of Buddhist thought.